Washington, NC Real Estate - A cool site with real estate information in Washington, Bath, and Belhaven, North Carolina. Greenville, NC Real Estate - Another real estate site with information for Greenville and Winterville, NC. Morehead City, NC Real Estate - Another real estate site with information for Atlantic Beach and Emerald Isle, NC. 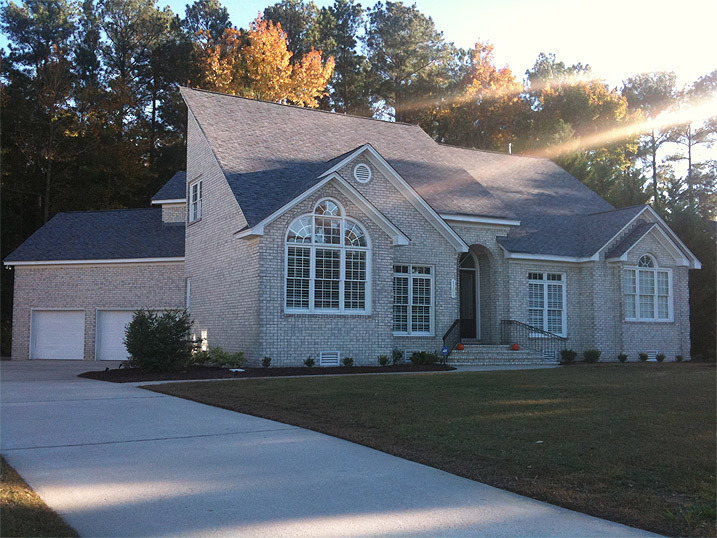 Jacksonville, NC Real Estate - A real estate site with information for Jacksonville, NC and Richlands, NC and homes for sale. It only took me about two months, but I finally got the writeup completed on the motorized plantation shutters and the servo controller node. I finally got it working! I'll be doing a writeup soon, but for now here is a demo video of 1 out of the 14 shutters I want to automate in the house. The wire going to the motor will be run to the crawlspace below the house from inside the window sill, so it will never be seen. The humming noise will also be adjusted (I have the delay set too long in this demo) so it won't be as loud. There are 10 exact positions I can set them to, ranging from closed in one direction to closed in the other. I've written a page about my in-wall touchscreens and the software I wrote for them, but I'm just working on a few final things before I post it up. In the meantime, here is a demonstration video of how it looks. I am currently in the process of designing a node that will control small servo motors (in groups of three) that I have attached to 14 plantation shutters in my house. This will allow me to open, close, and set the shutters to almost any position on an individual basis. I plan to have them open/close based on the time of day, occupancy in the house, season and sunlight direction, outside temperature and inside cooling/heating set points, and privacy times based on if the shower is/was in use and/or bath tub was/is in use. I finally got around to adding some new pages and updating some old ones. Just added a page on my Lighting and Devices, RS485 Network and Multi-Purpose Node. Also updated information about the wiring closet and main controller. It's been a few months but I just put up a new page on my custom occupancy detection and people counting system. I'm still adding new features and thoroughly testing it, but so far it's awesome. When I get a chance I'll put up the schamatics and parts list. I need to get a page up on my whole-house audio system, and infrared controller node as well. � Jon Scott 2012 -- All Rights Reserved.